Before we can dive in to writing shaders, we first need to cover some background information about how games put things on screen, and some of the basic math that they use when doing so. In this chapter we’re going to get a bird’s-eye view of what rendering is, and how a game renders a frame of a video game. Next, we’ll talk about what a shader is, and how it fits into the rendering process we just learned about. 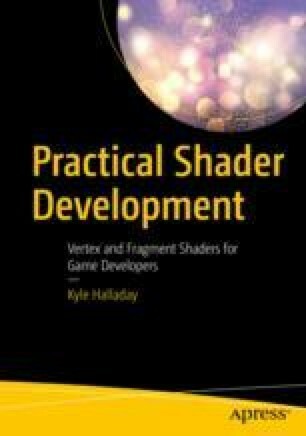 Finally, we’ll end the chapter with a very brief introduction to what vectors are, which will give us all the information we need to start writing our own shaders in the subsequent chapters.